Awesome - that's a big word to live up to! 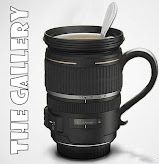 This week on The Gallery sees a collection of photos that are awesome to each person that stood behind the camera. My entry this week is not technically brilliant - it was a classic point and shoot. But the snap captured an awesome moment for me; the first time Edith met her baby brother. Aww she looks besotted! Baby not so much though :) that's such a lovely picture. Wonderful! I would love to know what she said next! Oh I love this. They are gorgeous and the look on her face is just brilliant! I love the expression on her face! aww such a precious memory photo, which deffinately makes it awesome! made me smile - a lot.